View Point Health located in the city of Lawrenceville and in the Gwinnett County, Georgia, is one of multiple public agencies created by the state of Georgia to provide services for individuals dealing with addiction, mental health and behavioral problems, and developmental disabilities. The center began in 1975 and is governed by a board of directors. The agency offers its services around multiple locations in Georgia including Lilburn, Covington, Decatur, and many more. View Point’s Addictive Diseases Program provides treatment and support to individuals and families dealing with the effects of substance abuse. The facility employs a “system of care” model of treatment which is a family-centered, strength-based approach that involves community partners and family members. The agency offers a medically monitored, short-term crisis stabilization program for adolescents which provided behavioral and psychiatric healthcare. Included in the services offered to youths, adults, and families are behavioral health screening, family support, and integrated care. 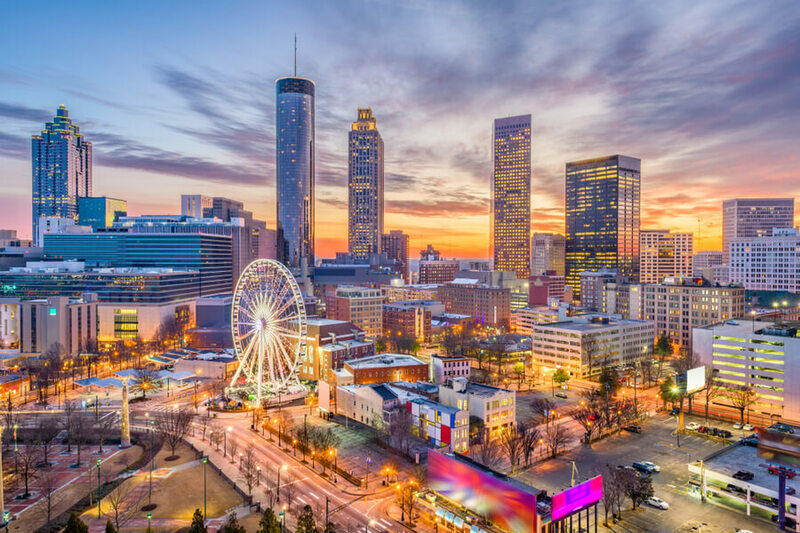 Additionally, the agency offers residential services, detox, outpatient, and transitional living care at various locations in the Atlanta area. Peer Support and Wellness programs are available at Decatur which involves trauma-informed care, respite rooms (which are often used as substitutes for psychiatric hospitalization), art explorations, and outings. The agency provides special services for veterans at Lawrenceville and Snellville in form of group meetings and crisis intervention. At the agency’s GRAN Recovery Center located in Covington, Georgia, the transitional living housing and residential program can accommodate about 18 adult men and women. Accommodation and living areas are gender-specific and clients share bedrooms with one another. The rooms are furnished with dressers and twin-sized beds. Residents are transported to the main facility which has offices, weight rooms, therapy rooms, and a dining hall. Smoking is permitted at the facility at certain periods. Meals are provided for the residents thrice daily—Breakfast, lunch, and dinner. The breakfast menu includes toast and cereal; lunch may include salad and sandwiches, while dinner may consist of options like meatloaf and spaghetti. Staff members are also involved in food preparations. Snacks are available to residents in the afternoons and coffee is available in the morning. The agency offers a community residential program for individuals dealing with addiction and mental health afflictions and may need hospitalization or medical supervision. The apartments are supervised and semi-independent and support is also available for homeless people. The crisis stabilization unit is a stabilization program which provides healthcare for adolescents 14 and above. The program involves intensive counseling, skill-building groups, and medication monitoring. The usual length of stay is about seven days. The agency offers outpatient programs for youths and adults which aim to educate the community of overall well being. Participants of this program are usually between the ages of 5-21 and going through physical and/or mental health problems. Parent support groups, counseling, nurse assessments, and therapy are huge parts of this program. View Point Health operates a sliding scale basis which means that the price for treatment is measured by the amount of income of the individual and family size. Individuals who earn more pay more and individuals who don’t make as much pay less. Medicare, Medicaid, and private payments are accepted by the facility. Client looking to use private insurance mode of payment are required to verify that the insurance provider accepts out-of-network services. At this time, full payment must be made for services provided and after this, clients can file their insurance company for repayment. The facility does not file insurance claims for services rendered to private insurance companies provided by clients. The facility is accredited by CARF (Commission on Accreditation of Rehabilitation Facilities). The health center requires prospective patients to bring their Driver’s License, Medicare or Medicaid card, Proof of Income, Social Security Card, Proof of Address, and other important information to verify the identity of the client. Payment for services made is required at the time of service. Although the facility is not a private agency, it was created by the state to provide treatment to mental health, substance abuse, and developmental disability issues. View Point provides a well-rounded treatment program and a therapy based-approach to the treatment of mental health and substance abuse. An around-the-clock support is given to clients registered in the residential program and the outpatient programs are available to help ease the entry of individuals into living a life of sobriety.